which provides conditions for relaxing but also for an active holiday. ground floor living room with TV and kitchen on 20m2 and small garden on 26m2. Secured parking lot in front of the house as well as access to a beautiful and peacful garden where guests can relax, sunbathe on loungers, eat and use the grill. Cable TV with a large selection of domestic and international channels, WiFi access, safe and all other amenities are included in the cost of the apartment. The population of the town, loomed over in a rather impressive fashion by Mount Biokovo, is just under 12,000. Makarska is a combination of a cosmopolitan seaside town, with its pretty promenade, and popular family resort in summer. It’s a good holiday destination for those who want a bit of a mix of everything, from beaches to reasonably lively nightlife, as well as a bit of adventure (hiking on Mount Biokovo). There’s also a daily 50-minute ferry across to Sumratin on Brac from Makarska for those that want to take a trip to one of the Croatian islands. Plenty of other day trip excursions to the local area (to the islands, to Split, and more) are also possible. 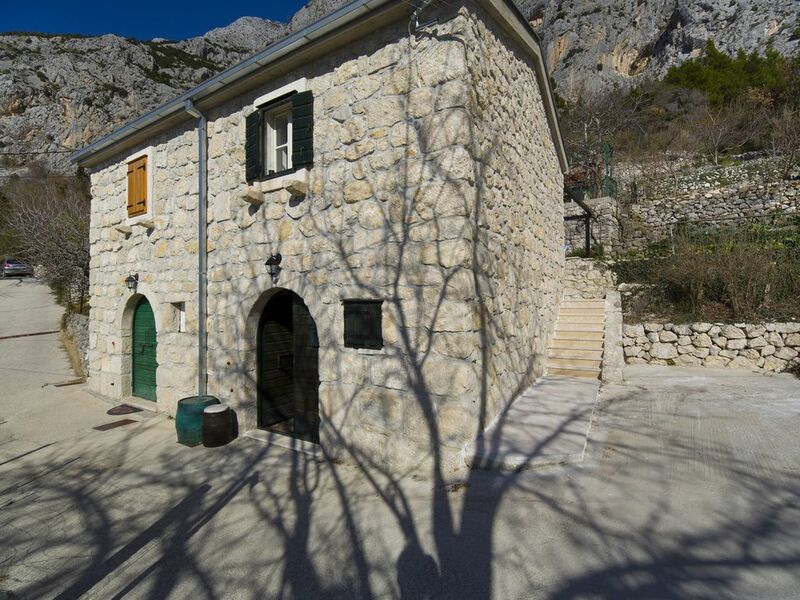 ucepi is, with its 1763 inhabitants, a small tourist destination in the southern part of middle Dalmatia. The landmark of this small, but beautiful city is one of the longest beaches in whole Croatia, the 3 km long pebbly beach. The tourism developed already in the 1960s when houses were built in the little village called Kraj. Since then, most inhabitants of Tucepi make their living from tourism which became the main income source of the city. The most impressive thing that Tucepi has to offer is definitely its beautiful beach. The beautiful pebbly beach is 3 km long; one could say that the whole little city is a beautiful long beach. Right above the beach, there is a promenade with a beautiful avenue of pine trees which offer shade in the hot summer days. The promenade goes to the neighbouring town Podgora, so you can take a walk along the sea to Podgora and check out the beautiful beaches there. Besides the beautiful,crystal-clear sesaon the beach in Tucepi you can also find sun chairs for rent. There is also a nudist beach between Tucepi and Makarska. The beach is called Nugal, and you can reach it by foot through a pine forest and the beautiful preserved nature. The beach is surrounded by high cliffs and is considered a very romantic beach.